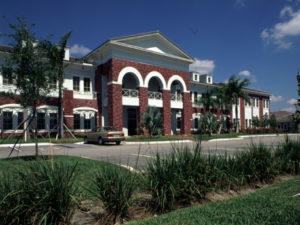 Our Virtual Office Davie Fl is located just West of Fort Lauderdale adjacent to Pembroke Pines, Weston and Plantation. Very easy to access through the Florida Turnpike, Interstate Roads 95 and 595, also in proximity to Interstate Road 75. Regardless of where your business is located in the Florida Tri-county or if you even do business with the West-coast, this location is right in the middle of it all. Just a 25 Minute drive right over I-595 to the Fort Lauderdale International Airport, a free standing building with easy access and plenty of parking ease your customers arrival and departure at this Virtual Office Davie Fl . Virtual Office plans as well as executive office suites are available at this location and are at your disposal on a monthly weekly or daily base. The modern built-out and impressive reception area will give a professional introduction to your business. Our staff on side can provide you with live phone answering services, as well as secretarial services, always representing your companies name. The signup process is simple and with no long term contracts. Just enter your information online and we have your business up and running in less than 24 hours. If you wish to visit the location, please contact us via the inquiry button below, or call 1.866.793.7969 we will gladly arrange a tour for you.